Nichols provides their students with tools to achieve success during and beyond their time enrolled as undergrads. Through Nichols’ Professional Development Seminar curriculum, students learn how to present themselves confidently to employers while highlighting their strengths. 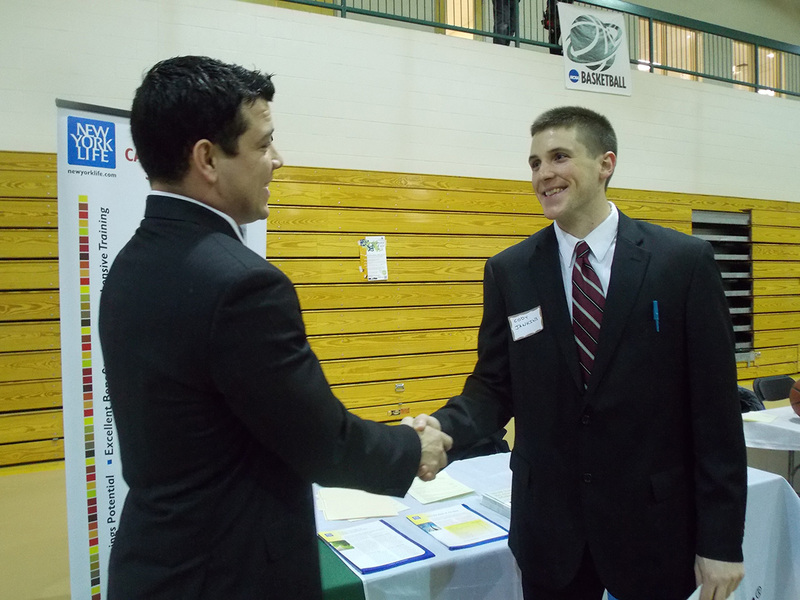 Nichols requires real life implementation of these skills that are then utilized at the annual Career & Internship Fair. The event is organized by the Office of Career Service. 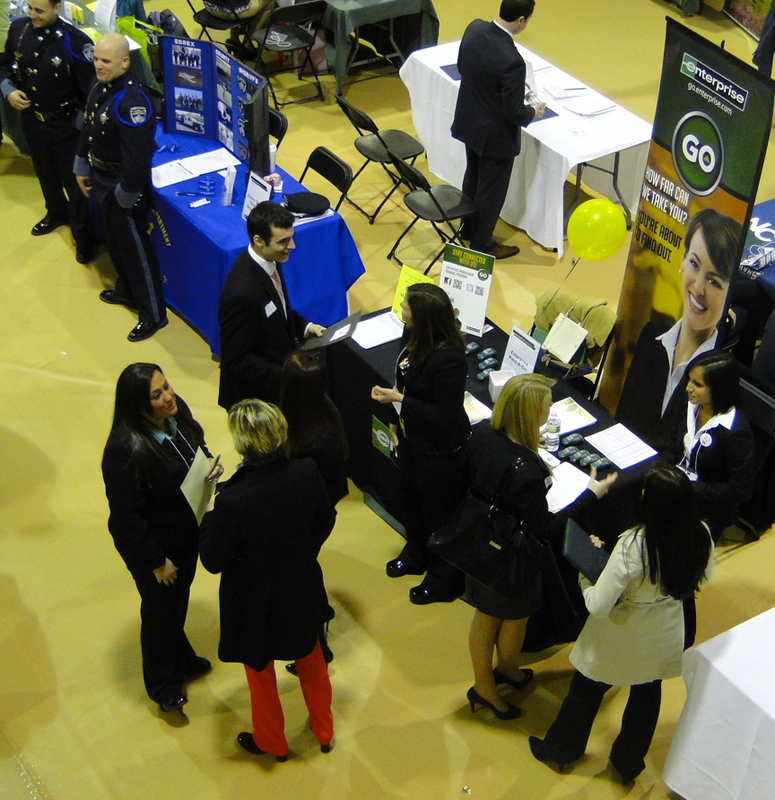 Of course the Career Fair is attended by many companies year after year, because they have had terrific results from previous Nichols hires. After the career fair eight companies scheduled on campus interviews, where 53 Nichols students will get a chance to further demonstrate their aptitude. 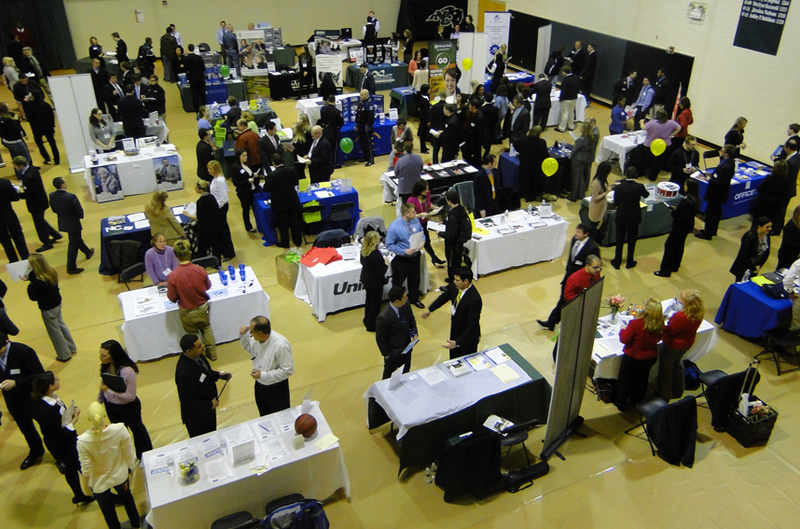 This year’s career fair, held on February 20th, featured 70 companies and organizations, and welcomed 353 Nichols undergrads with opportunity for employment and internship experience. 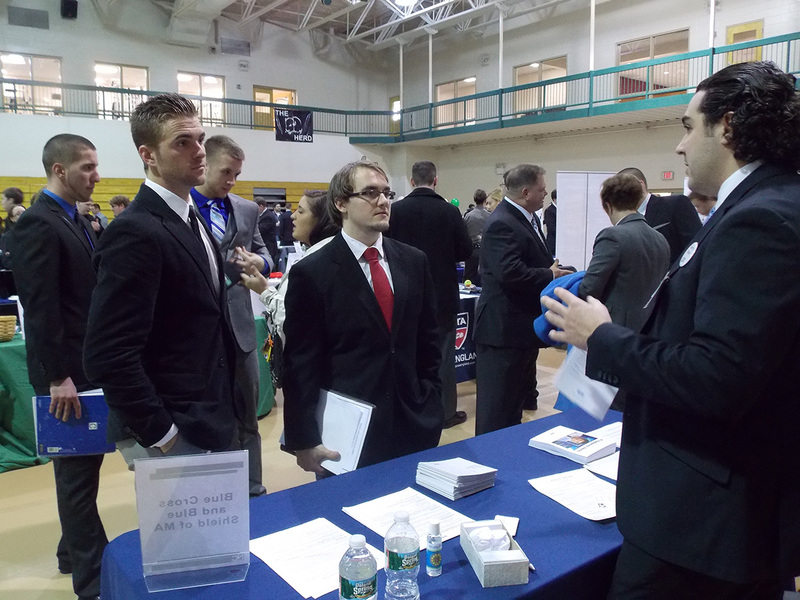 General consensus among students suggests that the career fair was extremely beneficial even when opportunities focused on their specific majors were limited. 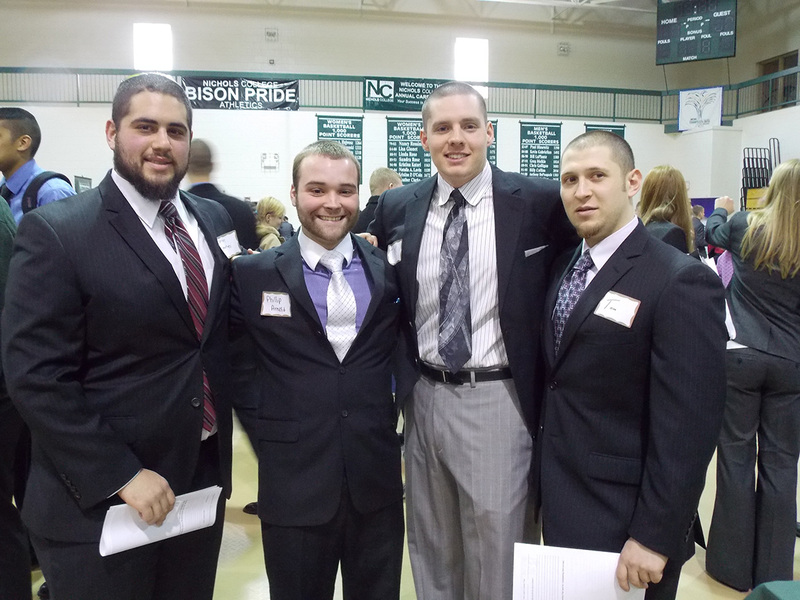 Below is Jason Dekow, an alumni interviewing candidates for Blue Cross and Blue Shield. “One of the biggest things that I took away from the Career fair was when I was talking to Christina Graham (2012 Graduate) from Enterprise Rent a Car. I asked her what her biggest piece of advice would be for someone graduating and going into the real world and she said that you really have to strive to do your absolute best, and not to settle.” William O’Brien, Class of 2013. Like many other students, MacDonald fell in love with the small school and tight knit community that Nichols has to offer. He said that at other schools he would have just been a number in a class but at Nichols he has a name. Another reason Pat chose Nichols was because he got the opportunity to meet and speak with Professor Kimberly Charbonneau at “Accepted Students Day.” Charbonneau has been the biggest help to Pat over the past few years at Nichols and has set him on the right track for his career. Her ability to obtain internships for her students is crucial in this. 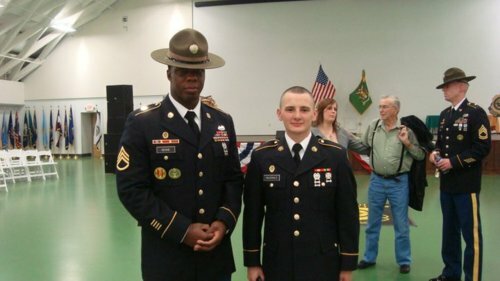 MacDonald began to envision joining the military in his junior year of high school and then decided to commit during his senior year. He saw this as an opportunity to advance his career and get him started in the right direction. It has given him experience in the work field since his goal is to one day be a Massachusetts State Police Officer. 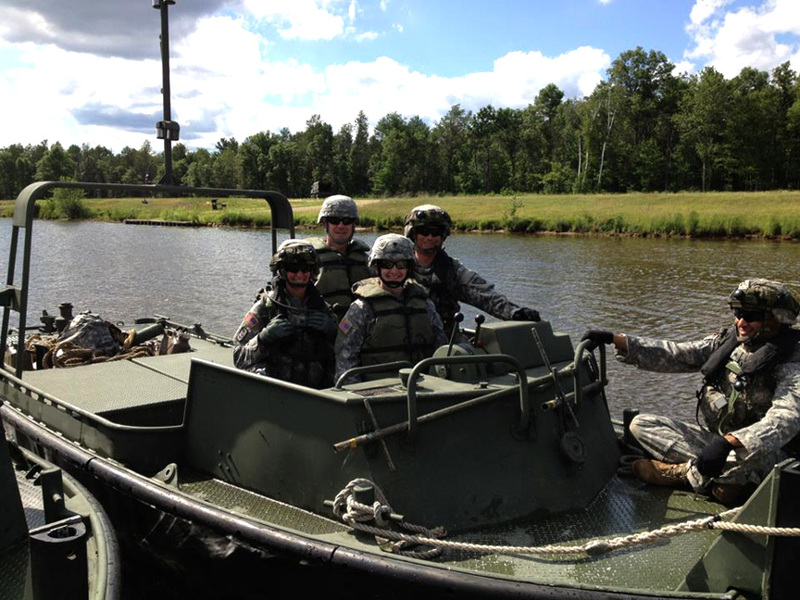 Through the military, where he is in the military police, Pat earns “promotion points” toward his career. During this journey over the past couple of years, his parents have been his biggest support system. They have always supported what he does and his dad encouraged him to choose this route since he is in the Marines as well as being a police officer. 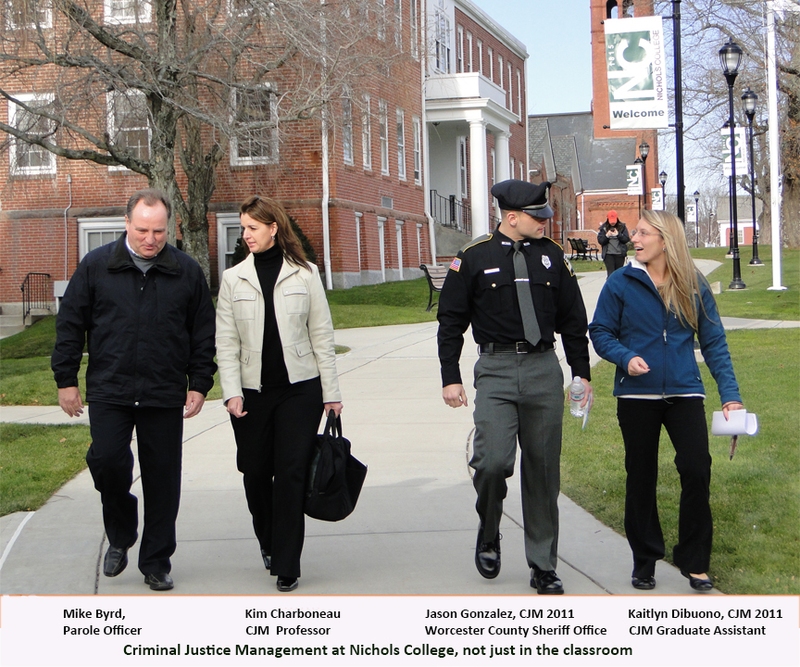 Upon graduating from Nichols in the spring of 2014, MacDonald hopes to continue his education to earn his Master’s degree in Criminal Justice. He plans on taking the State Police exam that is coming up this April. Once he takes the exam and graduates from school, his goal is to be accepted into one of the police academies in Massachusetts. Jason, who graduated in 2012, returned to campus to have a very enlightening conversation with the current Criminal Justice majors on his experience in his most recent endeavor, the Corrections Academy, and how Nichols has helped him on his path. Returning with Jason was 1970 Nichols graduate, Mike Bird who is now the Supervisor of Parole Board. Throughout the discussion, Jason made it very clear that there are four main points he wanted to stress that are necessary in his career of criminal justice. The first one being, attend to detail. During his twelve weeks at the academy, detail during inspections and every day routines were key. Jason said, “Every day we would have inspections and I would fail. The field is truly not meant for everyone. I went into it blind and was shocked.” Being perfectly put together at all times is what may separate a good corrections officer from a targeted one. For instance if you don’t have your shirt perfectly ironed and tucked in, the inmates seem to take note on you and act on it. The second point Jason made was you must have precise communication skills. Although Jason works in a dangerous environment, he informed us, “I don’t carry firearms. I don’t have any spray or weapons. All I have are my communication skills.” This may come to a shock to most people but it really just proves how well you must be able to communicate. Jason pressed the issue that inmates are people too, and the best weapon is actually your mind and words. The third valuable point Jason shared with the students is, start now. 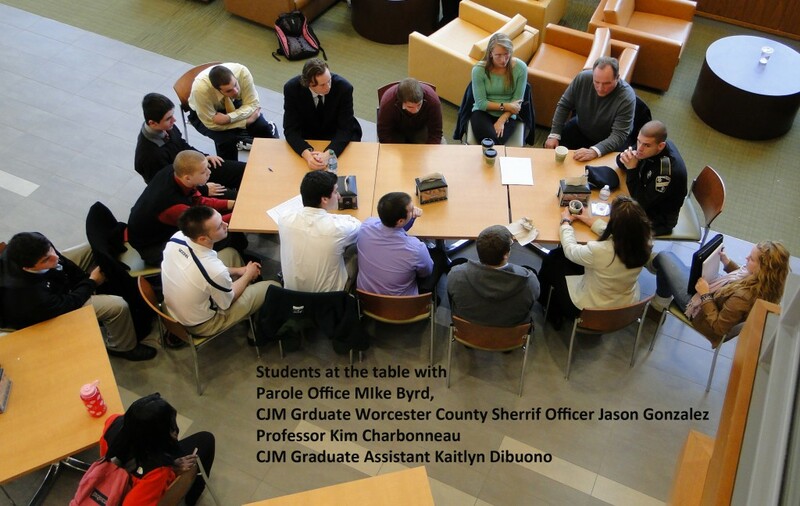 The most helpful thing a criminal justice major can do for themselves is start right now. Jason said, “Discover if you are fit for this field now. Shave every day, work out every day, and try to live the lifestyle that you would as a Correctional Officer. You’ll be more prepared and you’ll find out if it’s for you right away.” Nichols is great with helping criminal justice majors out in this area, considering there have been sixty internships in the past four years in the criminal justice program, with twenty-five this year alone. Jason was most grateful for the education he received while attending Nichols. More specifically, he was grateful for Professor Charbonneau, who helped him feel more prepared and confident in a field that often scares people away. Jason has gained so much knowledge from the criminal justice program here at Nichols; he has been able to use it on the job. For that, not only do his coworkers respect him but so do the inmates. So far, Jason has been extremely successful in his field and has been able to show his talent. Now, Jason is first on the list for the Smithfield Rhode Island Police Department.